Cronulla-Sutherland’s first premiership captain Paul Gallen says he almost retired after the Sharks won the title that had eluded them since their inception in 1967. Gallen said the retiring Michael Ennis and skipper-in-waiting Wade Graham stopped him from making the announcement. “There are times in my career I never thought this was going to happen (win a grand final),” Gallen said. “To finally do it at this club is a dream come true and it does mean a hell of a lot to me. “And I thought about it, I thought about retirement. But it is a team game. “We had a good senior leadership group with myself, Mick (Ennis) and Wade Graham. “But Mick has retired and I didn’t want to jump on his bandwagon. To leave Wade on his own I don’t think it would be the right thing to do. 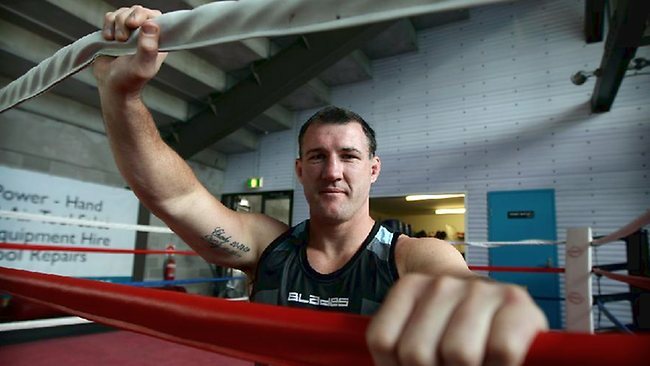 Gallen recently missed out on a swansong tour with the Australian team but will now turn his attention to one final season with Cronulla and a shot at back-to-back premierships. He also has two scheduled boxing matches in the off-season. Meanwhile Gallen has backed undersiege teammate Andrew Fifita to stay in the NRL. “I have spoken to him a couple of times and he is not too bad at the moment,” he said. “He is actually thinking really positive the big fella, which is great to see. Next Is Marshall about to become Bronco Benji?